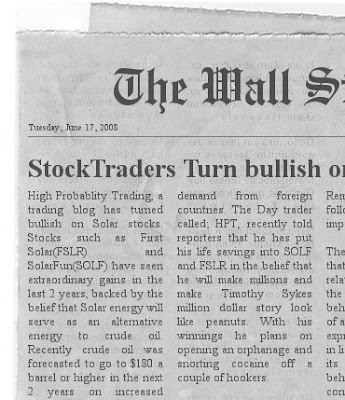 High Probability Trade: Solars are soaring, FSLR and SOLF BABY! Lmao. Opening an orphanage and snorting cocaine off a couple of hookers. Sweeet!! !